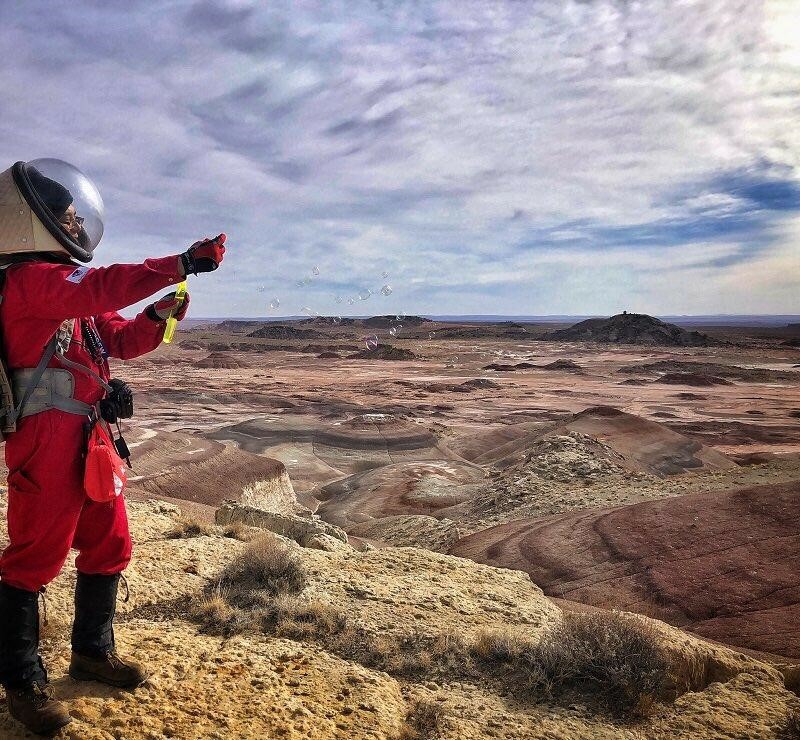 Tatsunari Tomiyama, a master’s student studying Aviation Human Factors, is back at Florida Tech after spending two weeks of intense research, team building and simulation training at the Mars Desert Research Station (MDRS) in Utah. Tomiyama served as the Health & Safety Officer for Crew 188 during the mission at MDRS—which ran from Jan. 27 to Feb. 10, 2018. MDRS is a space analog facility, owned and operated by the Mars Society, that supports Earth-based research in pursuit of the technology, operations and science required for human space exploration. This was Tomiyama’s first official analogue simulation—but previously, he has researched hypobaric hypoxia issues for astronauts on the International Space Station while assisting with hypoxia training for professional pilots. He was part of a crew made up of six alumni of International Space University programs and collectively called Team ISU: Commander Dr. Ryan L. Kobrick with dual citizenship from Canada and the U.S., Executive Officer Renee Garifi from the U.S., Crew Engineer Zac Trolley from Canada, Crew Astronomer and GreenHab Officer Julia DeMarines from the U.S., Artist in Residence and Crew Journalist Dr. Sarah Jane Pell from Australia, and Tomiyama from Japan. 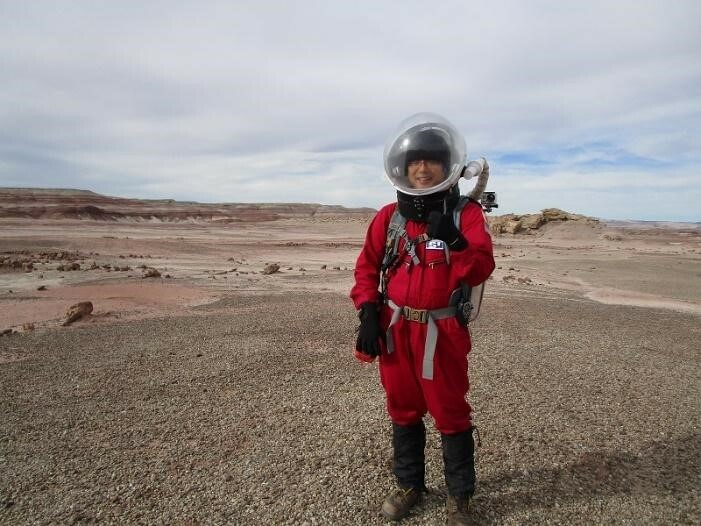 During the mission, Tomiyama’s research focused on potential human activities to improve quality of life on Mars. He was selected to be part of Team ISU in 2017 and spent the following months preparing his research materials while balancing classwork. “Preparation is the hardest part of this type of project,” Tomiyama said. Ironically, of all the unexpected events that could occur at an operation base built 10 years ago and located in an extreme environment with regulated internet accessibility and controlled water usage, what came as most unexpected to Tomiyama was that nearly half of the crew members were vegan or vegetarian. “So, we had lots of vegetables supplied by the Mars Society,” he said. The crew believes the first Mars settlement will undoubtedly be an international venture, making international experience and cultural awareness very important for future Mars colonists. “International operation is important to reduce financial costs as well as for research opportunities and creativeness,” Tomiyama said. He believes that the top three research areas that need to be addressed before humans can plan to colonize Mars include sustainable and survivable atmospheric control systems in Hab; transportation system between Earth and Mars; and infrastructure of communication satellite systems on Mars’ orbit. Want more? Check out these videos.